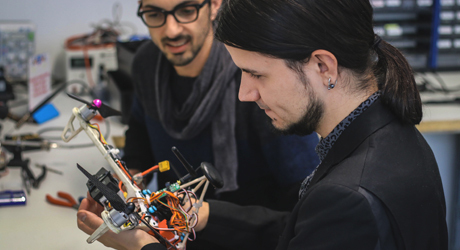 Fab Lab Berlin is a space for people to work with latest production technologies, learn new tools, meet like-minded people and develop their own projects. Fab Lab is where society meets with entrepreneurship and creative technology. We welcome people of all age, background, race and gender. We celebrate diversity through creativity and openness. 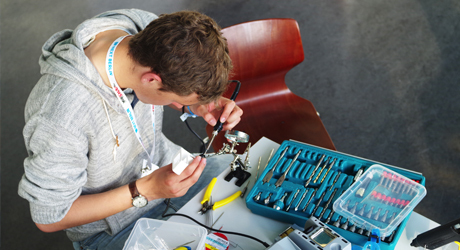 Fab Lab Berlin was established in 2012 by Wolf Jeschonnek, Nicolai Hertle and Murat Vurucu. Our 12.000m2 space is an open and thriving reality in Mitte, a walk away from Alexander Platz, Berlin. You can always drop by our lab to explore the space, meet people or attend an event- check our program to plan your visit. 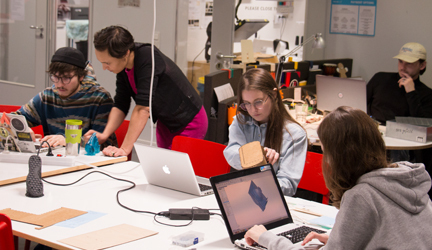 Or get a membership or a desk to enjoy all the benefits of being part of Fablab Berlin community.